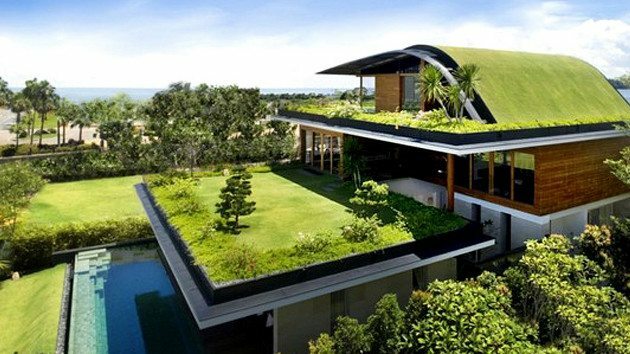 Demand for green homes has risen sharply in recent years. Dodge Data & Analytics’ SmartMarket Report stated that over half of homebuilders project that 60% or more of the homes they build will be green within the next three years. While the outlook for green home is surging throughout the world, growth is far from uniform. The outlook in some cities remains much stronger than others. Here are some of the best cities in the world for building or buying a green home. Vancouver has a population of nearly 650,000 people. It has a surprisingly low levels of pollution for a city its size. According to research from Siemens, air quality is significantly better than most other communities of the same size. The city government has expressed a desire to improve air quality and reduce CO2 emissions even further. They expect to cut air pollution by 30% by 2020. Many people in the community have green homes and the government is likely to offer new incentives for green homes in the future. Philadelphia is rated as the best city in the United States to own a green home. Within a 12-month period, over one in three homes that were sold were environmentally friendly. Demand for green homes in Philadelphia is higher than other homes. The average green home costs 45% more than homes that lack green features. Australia has begun making substantial progress on the green energy front in recent years. According to one company that offers house and land for sale near Townsville, a growing number of houses are built around sustainability. Brazil is not known for its commitment to green energy. The city of Curitiba is an exception. Despite being surrounded by communities that lack its vision of a green renaissance, the Siemens report shows that the city is outperforming the global green living index. Some indexes rank the city even higher. Grist ranks it as the third greenest city on earth. When most people picture Boston, they usually envision a city filled with smog. This stereotype arises among people that have visited the city off and on over the last 50 years. However, it has made tremendous progress over the past decade and has started to become one of the greenest cities in the United States. The changes are being driven in Fenway. This is one of the least developed areas of the city, so most new construction is focused on creating green building structures. Older parts of the city have existing housing, which is often decades old. After these buildings need to be replaced, the city will try to focus on green initiatives. This will help the city receive even more attention as a green city. Denmark as a whole is an incredibly green country. Few people own cars and homes are minimalistic, which reduces CO2 emissions. Copenhagen leads the charge in the country’s commitment to green living, so it is rated as the cleanest city in all of Europe. Copenhagen hasn’t needed to make nearly as much effort to earn this title as most other cities, largely due to the culture that rejects decadence and embraces sustainability. Citizens have coordinated with the government to boost green living, but most of these conditions are driven by free market ideals. They haven’t needed to rely nearly as extensively on central planning as San Francisco and other Western cities. Some of the largest cities in the world are embracing a cosmopolitan view that encourages green living. This is propelling demand for green housing in their areas and the rest of the world. People that want to buy a green home should consider investing in one of these areas.